Finnish PM: "We are no longer an island"
The government asked people in Finland to join in a national minute of silence on Sunday morning following the deadly knife attacks in Turku. Prime Minister Juha Sipilä said at a press conference on Saturday that leaders of many European countries had contacted him regarding the suspected terror attack in Turku on Friday. His government called for a national minute of silence at 10 am on Sunday. "If the criminal charge is confirmed to be terror-related murder, that would be a first in Finland. We have feared this. The day before in Barcelona and now in Turku. We are no longer an island," Prime Minister Juha Sipilä said at the beginning of a press conference on Saturday afternoon. He was accompanied by Interior Minister Paula Risikko. "Hate must not be answered with hate"
The premier stressed that hate must not be answered with hate. "This act was cowardly and reprehensible. The killing of innocent people is a violation of humanity and of religions' principles. We are however all in the same boat and we must defend humanity so that hate is not answered with hate," Sipilä said. The prime minister expressed condolences to the victims' loved ones and to those injured on behalf of the entire government. 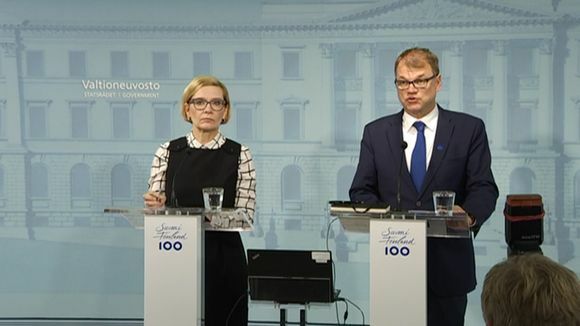 Sipilä praised the police reaction to the attack as exemplary. The suspected assailant was shot in the leg and arrested within three minutes of the police receiving the alarm, but not before he had slashed 10 people. "We have done everything we can to prevent this kind of [terrorist attack], but it is not always possible to do so. It is time to grieve together and to allow the authorities to do their work in peace," Sipilä said. The prime minister noted that Finland is still one of the world's safest countries, adding: "We're doing all we can to ensure that Finland remains that way."